Now wouldn’t it be cool to be able to run like Emelie? Well, we won’t guarantee it. But after reading our tips below, you’ll at least be in the right direction. THE LA SPORTIVA ULTRA RAPTOR GTX: THE ONLINE DEAL. Flash us this online promotion to get a 10% discount! Our resident gear master; Sharon Tan, will walk us through the different types of trekking poles and their importance. 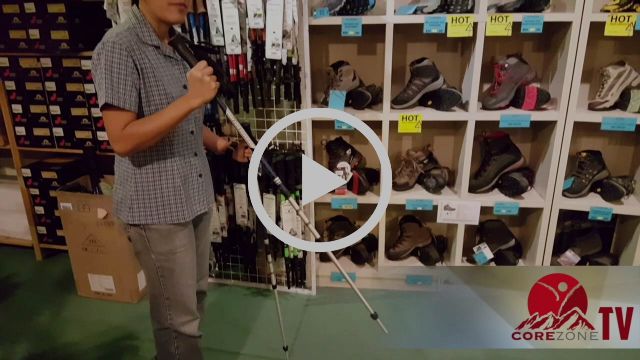 When you’re done with the video, pay us a visit and we’ll show you how to properly use a trekking pole. Click the button below to see the entire range of Komperdell poles we carry. Copyright © 2017 Corezone, All rights reserved.